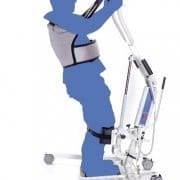 The Kompass Up ri830 stand-up lift by Moretti is a guarantee for maximum safety and reliability. It was designed to meet all your demands for practical and correct use. The Kompass Up ri830 stand-up lift by Moretti is a guarantee for maximum safety and reliability. 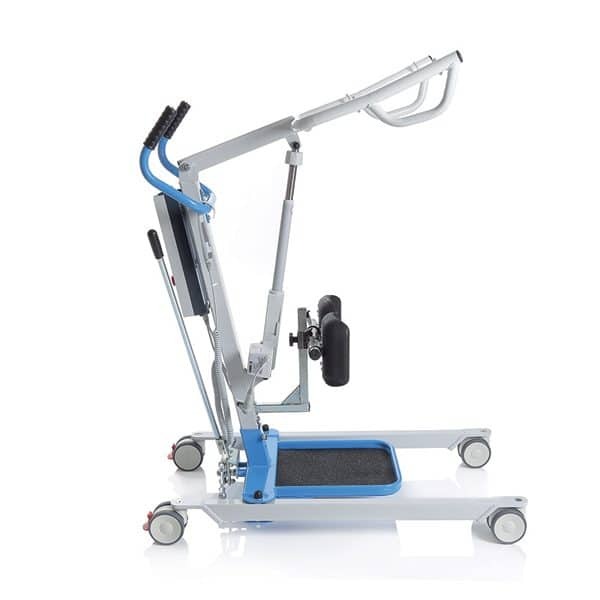 It was designed to meet all your demands for practical and correct use. 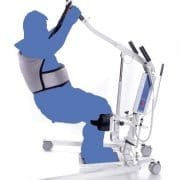 Patient-stand up lifts are intended to allow people with motor difficulties to stand up and move. An assistant operates the machine. The stand up lift cannot be used by one person only. 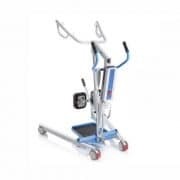 The stand up lift has a powder-coated steel frame with an adjustable base in order to guarantee easy access in narrow spaces. The patient Stand-up lift has swivel casters, two of which have brakes, and an electrical lifting engine with a separate battery with an emergency stop button which instantly deactivates all controls when pressed. The emergency lowering is manual. To restore normal operation, turn the button clockwise and pull it outwards.